The Nigerian Police has issued a stern warning to the Indigenous People of Biafra (IPOB) ahead of Saturday’s governorship election in Anambra. 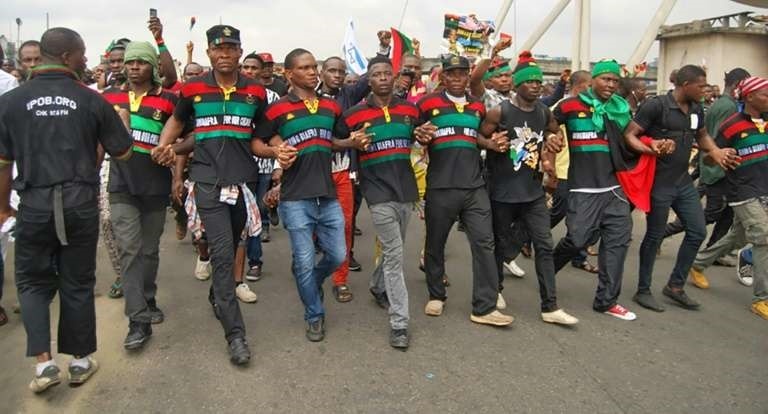 Members of the proscribed IPOB group marched around some streets in Onitsha, Anambra State on Friday, threatening a lock-down on the day of the election. But the police are also preparing for the proscribed group as an additional 26,000 personnel have been deployed. Spokesman CSP, Jimoh Moshood warned the outlawed IPOB and its members to steer clear of the state as the police would not hesitate to use all legal means to checkmate them.